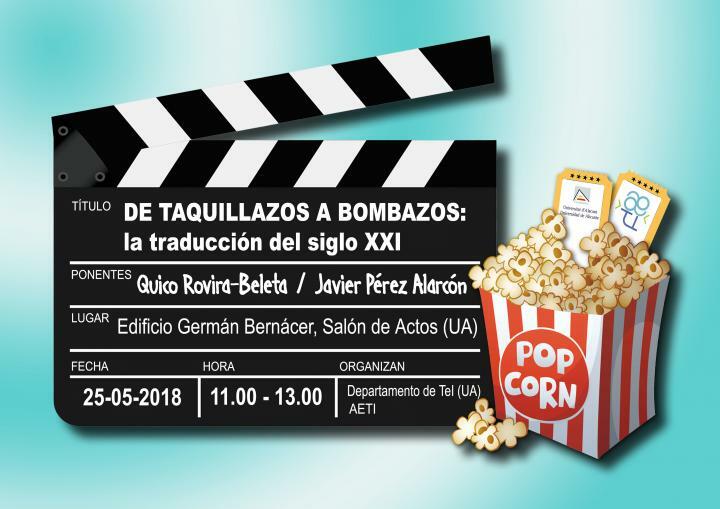 JORNADA "La subtitulación profesional: un viaje de película"
*Los alumnos matriculados en el curso "Teoría, técnicas y novedades en subtitulación" tienen garantizada su plaza en la misma. Charla "Training tomorrow's digital linguists - insights from the DigiLing project and EMT network"
A cargo de Alina Secara (University of Leeds). Alina es la coordinadora del Máster de Traducción Audiovisual de la Universidad de Leeds, pero en esta ocasión vendrá hablarnos del proyecto DigiLing (Erasmus+) en el que participa. Tenéis toda la información en el pdf adjunto. La charla se impartirá en inglés. Lugar: Aula Magna de la Facultad de Filosofía y Letras. 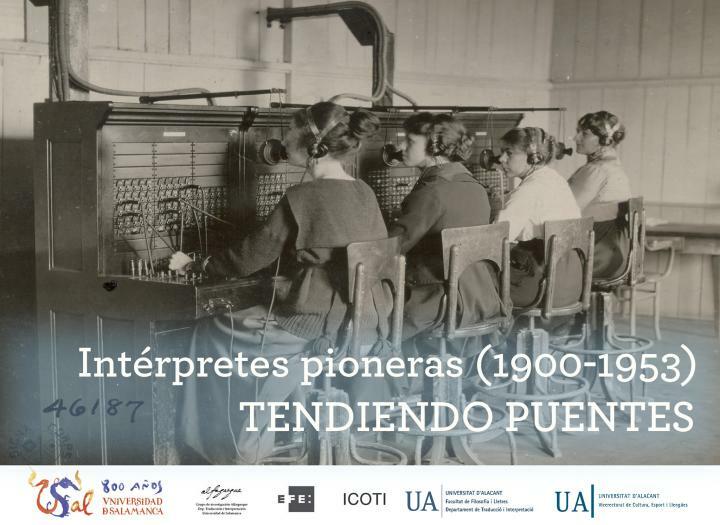 El próximo miércoles 10 de abril, de 11.00 a 12.30, en el aula Magna de la Facultad de Filosofía y Letras, representantes de empresas locales de tecnologías de la información y las comunicaciones presentarán las oportunidades laborales existentes para estudiantes de traducción e interpretación con la participación de estudiantes y graduados de la Universidad de Alicante. Prompsit Language Engineering: Gema Ramírez, directora y Enrique Martínez, estudiante en prácticas. 1millionbot.com: Andrés Pedreño, presidente, Carolina López Egea, directora de corpus lingüísticos y Berta Marco, estudiante en prácticas. FIXR: Andrés Torrubia, CEO, e Irene Pomares, egresada. Modera: Juan Miguel Ortega Herráez, profesor del Departamento de Traducción e Interpretación y coordinador de prácticas y movilidad de la Facultad de Filosofía y Letras. Seguirá un coloquio con los ponentes. ¡Asistid y conoceréis salidas profesionales que no imaginabais! Subtitling Theory and Techniques. What's new? 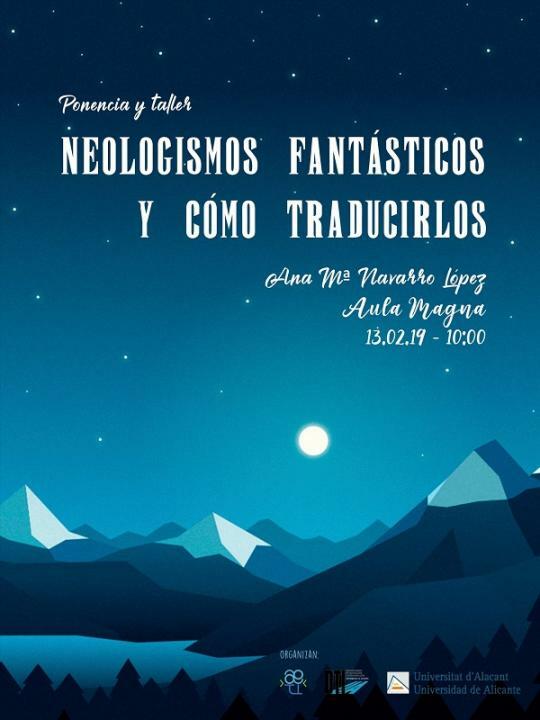 Horario: De 13:00 a 20:00 h.
Los vocales de la AETI de la UA organizan la ponencia-taller por Ana María Navarro López, "Neologísmos fantásticos y como traducirlos"
Charla gratuita a cargo de Aitor Medrano. Jefe de equipos técnicos de localización. Hora: 11 a 12:30 h.
IX CONGRESO AIETI. UNIVERSIDAD DE ALICANTE. 1918, un centenario: La Gran Guerra, la posguerra y otras guerras. Recuerdos, testimonios, presagios y denuncias. una semana en sesiones de tarde (de 18.30 a 21.30 h.
Sede de la Universidad de Alicante en la ciudad. Taller interactivo de traducción para la escena. Seminario: "Mesa redonda y V Taller de Traducción Literaria"
Seminario en torno a la obra "Baila la araña en su tela" de Antonio Fernández Molina (2010). S Lunes 1 de octubre: de 14h a 17h Miércoles 3 de octubre: de 13 a 17h Lunes 8 de octubre: de 14 a 16heminario: "Interpretación bilateral francés<>castellano en el ámbito de las relaciones comerciales internacionales. Casos de Perú y Francia"
Public: Lecturers, graduates, students, translators and other professionals that labour in the field of phraseology, translation, interpretation, linguistics and similar disciplines. International congress of phraseology (In Latin America) University Ricardo Palm. Conferencia: "La interpretación en un tribunal internacional: el Tribunal de Justicia de la Unión Europea"
Miércoles, 2 de mayo de 2018. De 10 a 14 h.
Aula Magna de la Facultad de Filosofía y Letras. Departamento de Traducción e Interpretación de la UNIVERSIDAD DE ALICANTE. En esta ocasión nuestra invitada será ENCARNA PLÁ SANZ. El taller se centrará en la traducción colectiva de la novela "Valia, la hija del bardo". El taller se realizará en presencia de la autora. 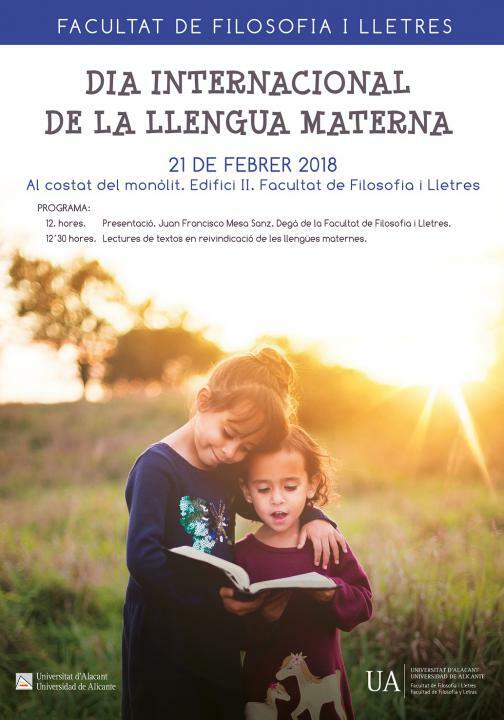 lunes 5 de marzo, de 15:00 a 17:00 h.
Al lado del monolito. Edificio II de la Facultad de Filosofía y Letras. With the presence of Domnica Radulescu, Catalina Iliescu Gheorghiu, translator and author of the introductory study, Francesc Sanguino, director of the Main Theatre and the professor Victoria Guillén Grandson, of the University of Alicante. All the films will project in original version with subheads in Spanish. Disclosure and translation in the Order of Preachers. 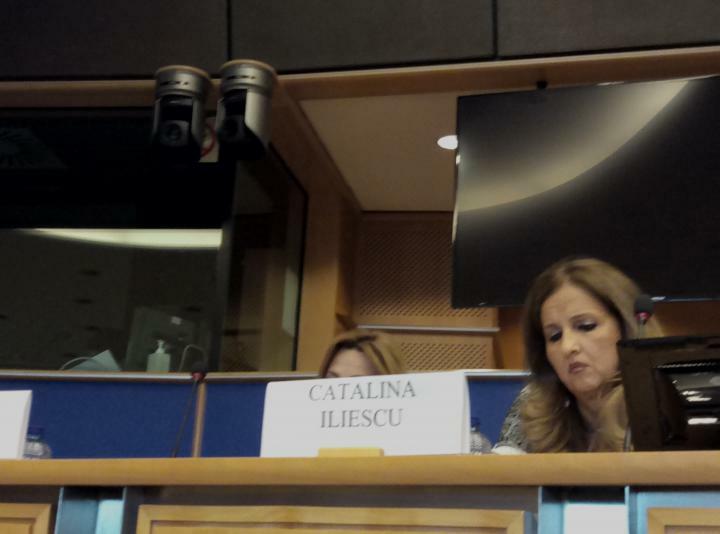 The professor Catalina Iliescu in the European Parliament invited by the Government of Romania. 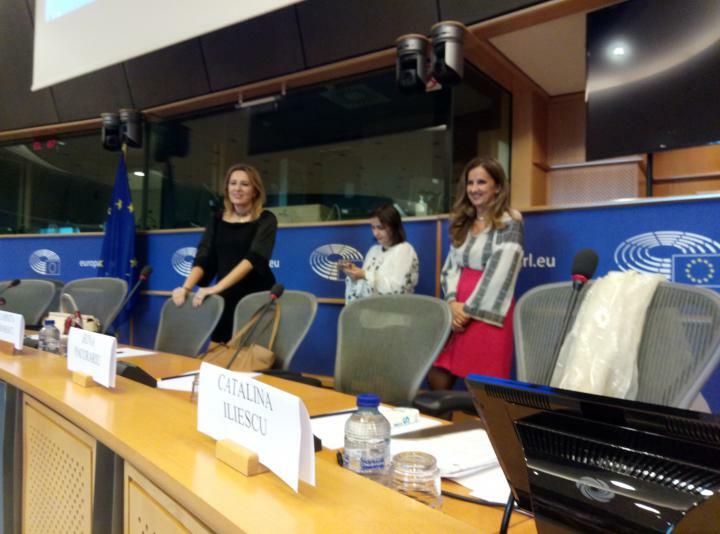 On 7 June to the 12.30 took place in the European Parliament a debate on the identity rumana with reason of the Day of the Rumanos of Allende the Borders, organised by the Ministry homónimo in collaboration with the European Parliament and favoured by the social parliamentary group-democrat. 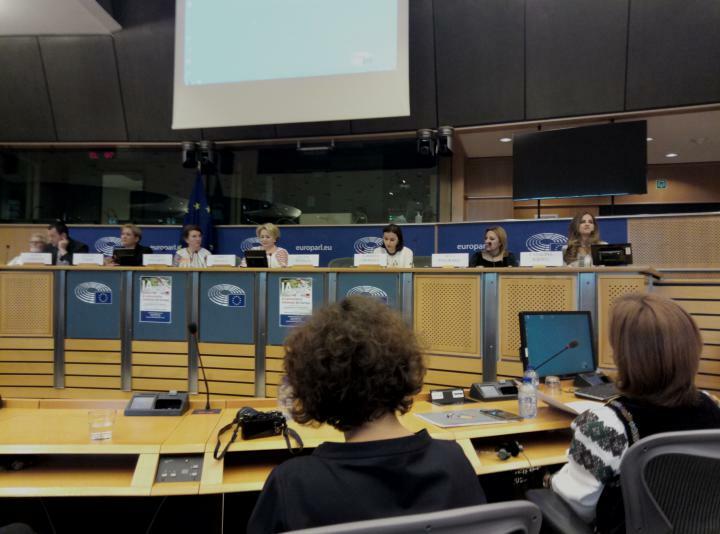 The debate was moderated by the Euro-deputy VIORICA DANCILA, Vice-president of the Committee on Agriculture and Rural Development and member of the Committee for the Rights of the Women and Equality. The intervention of the Dr. Iliescu centred in the importance of the tongue in the construction of the identity diaspórica in the case of the population rumana resident in Spain and in the fundamental paper of the UA in the transmission of this legacy, through projects funded by the Government of Romania like TRAUTOROM (the first automatic translator Romanian-Spanish) developed by the professors Mikel Forcada and Delia Prodan, THE SCHOOL OF ROMANIAN FOR THE SECOND GENERATION OF MIGRANTES that, from the Headquarters Ciutat d'Alicante, carries more than a decade preserving the tongue and traditions rumanas, as well as the bet of the Faculty of Philosophy and Letters by the Romanian like Tongue D in the degree of Translation and Interpretation. 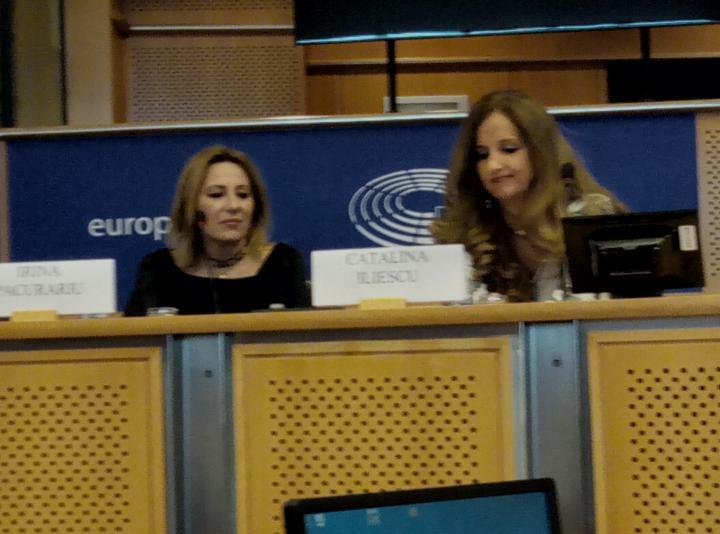 In the debate took part ANDREEA PASTÎRNAC, Minister for the Rumanos of Allende the Borders, LUMINITA ODOBESCU, Ambassador of the Permanent Representation of Romania in front of the EU and LILIANA TUROIU, President of the Cultural Institute Romanian. Schedule: of 12:00 to 20:00 h.
Translation and quality in the sector of the automotion. Café-tertulia con egresados en Traducción e Interpretación. El próximo miércoles 15 de marzo tendrá lugar el café-tertulia con egresados en Traducción e Interpretación. Se trata de una actividad destinada fundamentalmente a los alumnos de 4º (de cualquier lengua B) y del Máster en Traducción Institucional que se enmarca dentro de las iniciativas sobre inserción laboral que estamos llevando a cabo en la facultad . El objetivo ha sido reunir a licenciados y egresados en TeI de la UA para que nos cuenten cuál ha sido su trayectoria en ámbitos muy diversos, lo que da muestra del perfil tan versátil que tienen nuestros titulados. Esta versatilidad facilita su inserción en diferentes ámbitos relacionados con los idiomas en sentido amplio. En esa ocasión vamos a contar con profesionales que trabajan en el ámbito editorial, la traducción, el comercio exterior, la enseñanza, la lingüística computacional y el sector de la banca. No faltéis: miércoles 15 de marzo de 12 a 14 en el CeMab de Filosofía y Letras. El café lo ponemos nosotros. The Department of English Studies and the Deparment of Translation and Interpreting at the University of Alicante are holding on March 1-3, 2017 the 8th Conference on Dubbing and Subtitling within a context where the theoretical and professional development of screen translation is expanding to fields such as accessibility, video-games or theatre, besides the customary areas of dubbing and subtitling for cinema and television. In addition to this, in the scope of language teaching and learning, the use of the ICT (Information and Communication Technology) has become widely relevant, and translation applied for dubbing or subtitling is nowadays a common tool for the development of language skills. On the other hand, the need to integrate an intercultural knowledge in translation also affects the audiovisual context, which foregrounds different issues that configure the development of an intercultural awareness: gender, stereotyping, etc. Classroom Magna. Faculty of Philosophy and Letters. nº 11 de Quaderns de Cine (número monográfico dedicado a la filmografía rumana actual). Rafael Altamira, juez en el Tribunal Permanente de Justicia Internacional. In the 150 anniversary of the birth of Rafael Altamira and Crevea, the Departmental Area of History of Law and the Department of Translation and Interpretation Studies have organised a Seminar to analyse his prominent figure and provide an updated approach to his role as judge of the Permanent Court of International Justice, between 1921 and 1930. The Seminar will provide an overview, from a legal and linguistic standpoint, of Altamira's integration in that international court, as well as the evolution and role that interpreting plays in international courts. Altamira en el proceso ideológico del Tribunal o Altamira como Juez del TPJI. Prof. Yolanda Gamarra Chopo (PhD) (Universidad de Zaragoza). Documentary about Rafael Altamira. Presenter: Dª. Pilar Altamira. Exposición Bibliográfica "Rafael Altamira, juez en el Tribunal Permanente de Justicia Internacional"
The Department of Education, Culture and Sport of the local administrative centre of Osnabrück (Low Sajonia) offers squares of practices (Erasmus+) for a student of the faculty. The length of said practical will be from among two and three months. Ranking Spanish universities by Degree. Newspaper "El Mundo"
The Degree of Translation and Interpretation of the University of alicante positions in the 5º place of the ránking of Spanish Universities in the 2016. "Interpret in contexts of violence of gender"
"The audiovisual translation: challenges and professional challenges"
Dr. Rosa Agost (Univ. Jaume I). In the web space of the Department of translation and interpretation has opened up a new page, created to host a project of contrastive nature Italian / Spanish, which is framed in the EHEA, as a result of the collaboration of the UA with Italian universities, UNISOB and UNISA. The project has two distinct and, in turn, clearly interconnected aspects. Thus, Teletandem is geared towards the exercise of Italian/Spanish and Spanish/Italian oral interaction between a native speaker and not native while CORINEI (Oral Corpus of interlanguage Spanish and Italian) collects the dyadic talks produced in this activity. Os informamos que la Secretaría del Departamento de Traducción e Interpretación queda ubicada en el Laboratorio 2 despacho de Asociados, y en el antiguo despacho, queda ubicado el profesor Juan Miguel Ortega.